Sunshine Biscuits sign ( photo by HiMY SYeD )The Sunshine Biscuit Factory was and is located at 851 - 81st Street (at Rudsdale Street) in East Oakland, California. The company merged, and well, let's just say Cookie Monster was none too pleased. Nowadays the building is an off-the-beaten-path Arts and Entertainment venue that apparently is hella cool according to folks who've been invited to events held there. 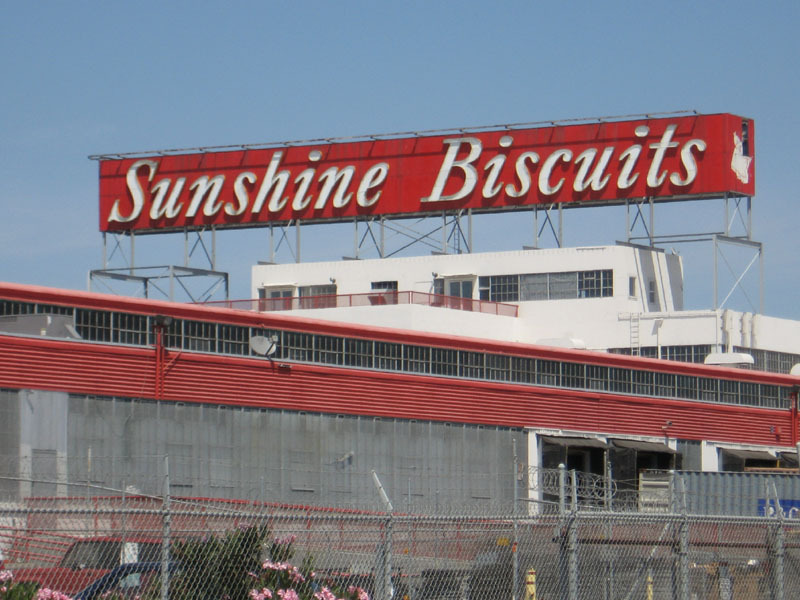 The Sunshine Biscuits sign remains an Oakland landmark, easily visible to countless daily passengers riding BART.